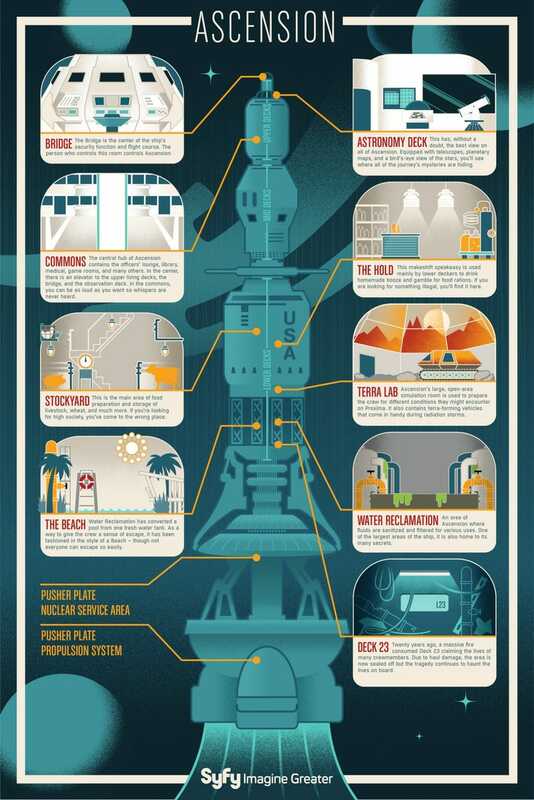 Here's a peek at the internals of the gigantic, titular spaceship from Syfy's new retro space drama, Ascension. Yeah. It's got a space beach.